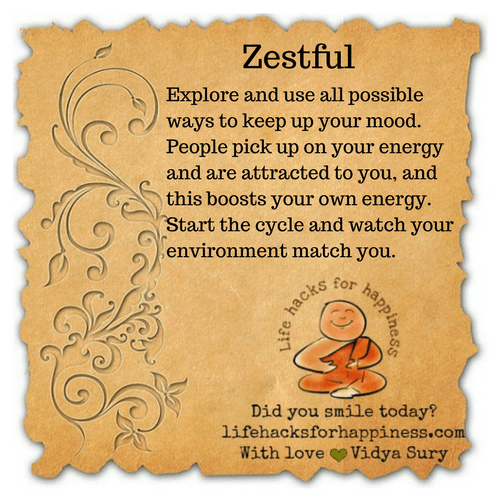 Explore and use all possible ways to keep up your mood. People pick up on your energy and are attracted to you, boosting your own energy. Start the cycle and watch your environment match you.